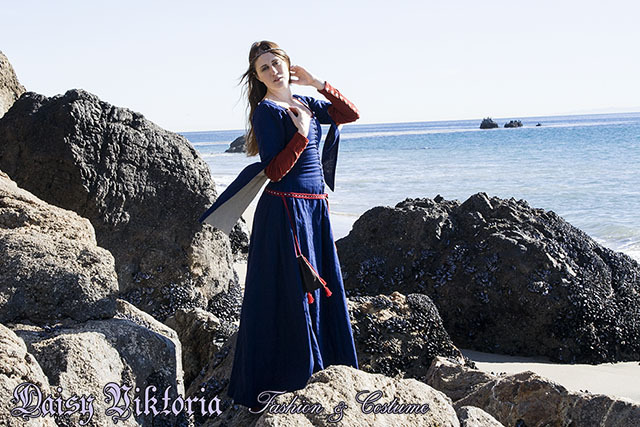 This is based on Waterhouse’s painting, Miranda – The Tempest. 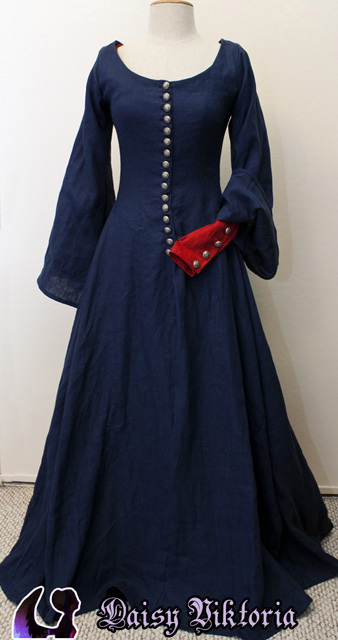 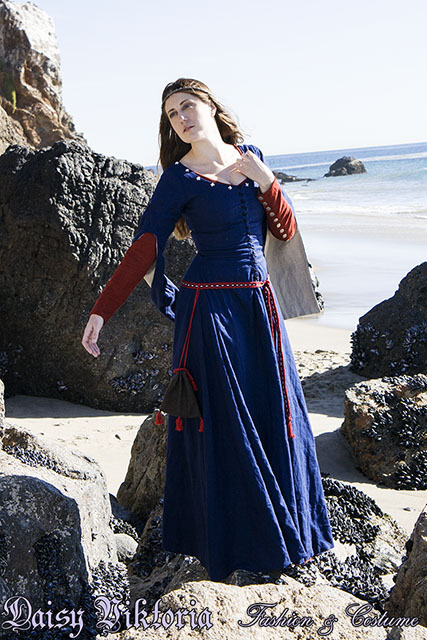 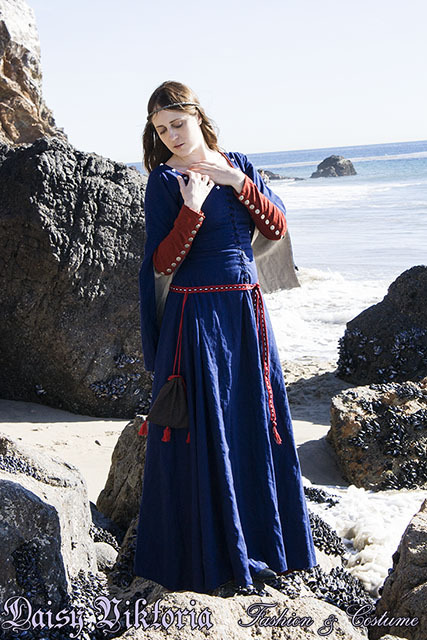 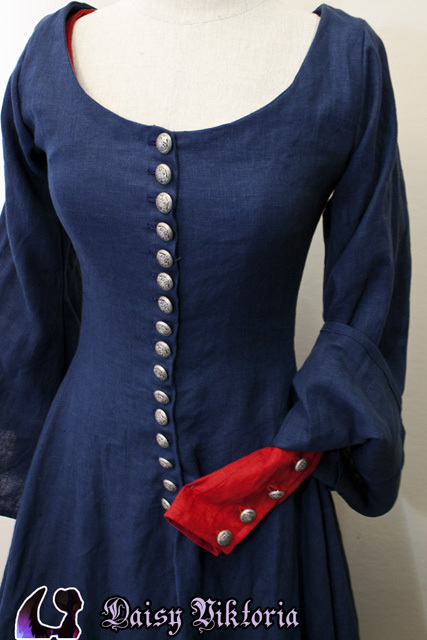 It is a blue cotehardie with larger sleeves and a red kirtle worn underneath. 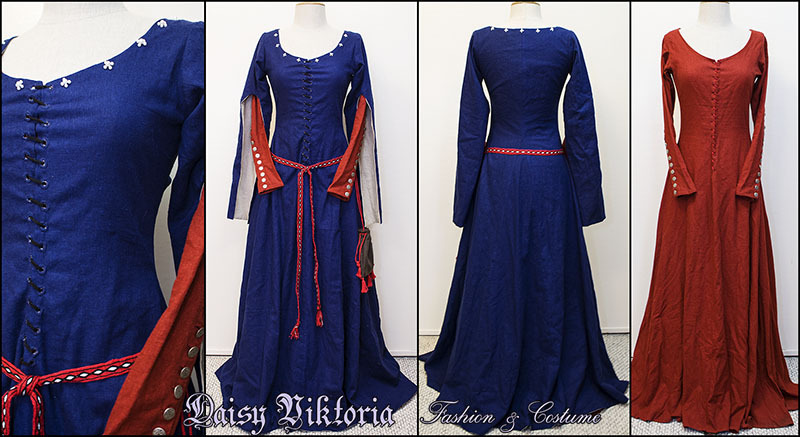 I have made a couple of these dresses with varying front closure designs.